Have you heard a lot of birthing stories that made you absolutely terrified of the whole ordeal? Do you associate labor with fear and the worst pain that a woman can possibly experience? Then you might be in for a treat. I am an ordinary girl, with a pretty low pain tolerance, who delivered my baby drug-free less than three weeks ago. And I am ready to do it again. 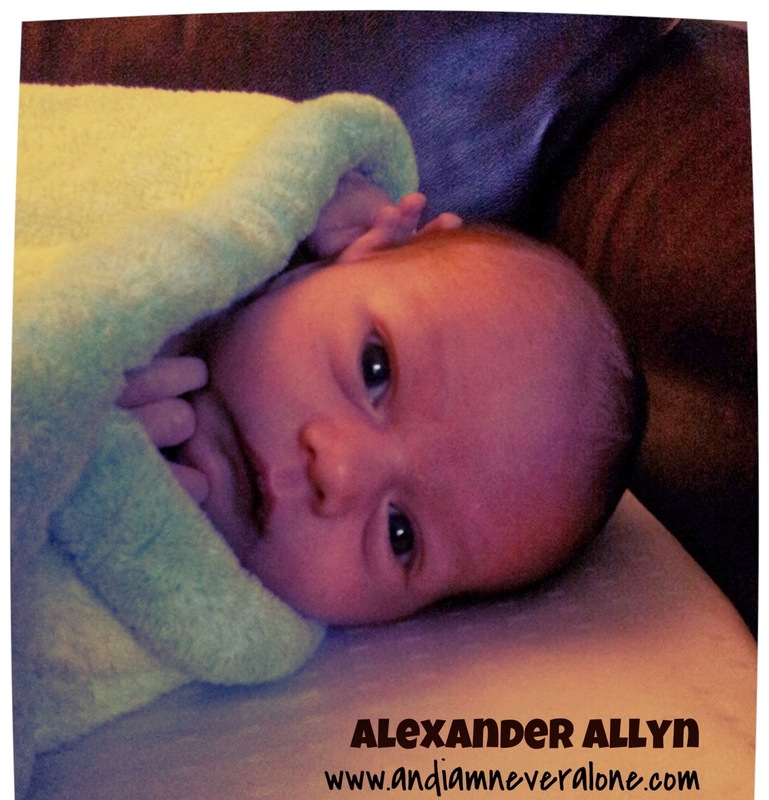 Three hours - that is how long it took our son, Alexander Allyn, to come into this world. Our life will never be the same again. He was born on February 27th, 2014 at 11:40 pm. His weight was 8.2 lbs, and his height was 20.5 in. A tiny bundle of joy that made us parents in addition to being a husband and a wife. I have a lot of friends who gave births with epidurals, and I was sure I would follow the same path. When we found out that we were expecting, we started thinking about a midwife instead of a doctor because of the cost. After reading stories of women who delivered naturally with a midwife and after considering that my own mother delivered both me and my sister naturally, I decided to do it. Moreover, one of my sisters-in-law was always for a natural delivery and even wanted to give birth at home. Reading her blog and talking to her only reinforced my desire for a natural delivery. We researched several birthing centers around Houston and chose Kathleen Vande Giessen from North Houston Birth Center. She had good reviews online, and, after meeting her, it was clear that she would be the perfect midwife for us. The birthing center was only 10 miles away from my work, so it was perfect for my prenatal appointments. Kathleen was the one who suggested a HypnoBirthing class for us to look into to prepare for delivery. Honestly, my husband was very skeptical about the whole thing. Hypnosis is known to be mostly for entertainment, and he did not perceive the method seriously. However, he was on board after the very first class. Many things made sense to him, as he has medical background. Briefly, HypnoBirthing method includes breathing and relaxation techniques to use during labor to ease pain and to work with your body. During the five classes we took, there was no detailed talk of "special circumstances," such as C-sections and forceps to get the baby out. Everything was very positive in order to take away the fear of the birthing process. We loved our instructor and practiced the breathing techniques and positive birthing affirmations along with the CD of Rainbow Relaxation. We listened to it every night as we went to bed, and I do not think I ever heard the ending. By the middle of the 30-minute tape, I was asleep. So was my husband. My estimated delivery date was March 1st. My mother was flying in on February 28th, right before it. About two weeks before my due date, we started using natural remedies to induce labor. Some of them included smelling clary sage and lavender essential oils and applying acupressure to the "labor-inducing" spots around ankles. Nothing seemed to work, really, and I continued going to work. On February 27th, I went to my usual prenatal appointment after work, at around 4 pm, when the midwife finally checked me. She mentioned that checking alone might be able to jump start the labor. However, I was waiting for my mother to arrive the next day. I also had some important things to do at work the next morning. Finally, my mother's friend (who is an astrologist) said I would not deliver until March 3rd. Needless to say, I was not expecting anything. On Thursday nights, we usually go to the Bible study class at our church at 6:30 pm. By 5:30 pm, I started feeling some cramping, but it was nothing too bad. My husband suggested to stay at home, but I desperately wanted company. I guess I subconsciously understood that there may be no company for a while after that night. We went, and I continued having surges (or contractions) throughout the class. I just kept changing positions on the chair and breathing through them. I was not too talkative during the class, but that's understandable. Apparently, I was in the early stages of labor. On our way home, at 9 pm, my water broke. That is when the real pain came in. I remember thinking that I wanted an epidural really badly and that I would not be able to get it, since I would be delivering with a midwife. Sweet. We got home shortly after that (I never hated terrible asphalt of Dairy Ashford road or speed bumps more in my life), and all I wanted was to get into the bathtub. The water sounded really, really good at that point. My husband timed the surges, and they were one minute apart. I did not panic at all, even though they seemed to be pretty close. I vaguely remembered that women usually go to the hospital with contractions 3.5-4.5 minutes apart, but focusing on breathing through the surges took my mind off of this thought. David called our midwife, and she said to call her in a couple of hours. We had the Rainbow Relaxation CD on the background, and I kept catching phrases and thoughts rather sporadically. David kept timing my surges. After an hour (which felt more like 20 minutes to me), I asked my husband to check upon me. He said that I was crowning! David called my midwife again, and this time she said that we'd better be on our way if we did not want to deliver in the car. At that point, I wished we were delivering at home! Getting out of that warm water and driving somewhere was the last thing I wanted to do. However, we had to do it, and we left the house around 11 pm. It was such a blessing that our son decided to come at night. At any other time of day, the drive through Houston's traffic would be a nightmare. We got to the birthing center at 11:20 pm, and Alexander was born 20 minutes (and several birthing breaths) later. We really did not waste any time at the birthing center! The minute we held our son was the most magical moment of our lives. It was still impossible to comprehend that we were, at last, parents, but it felt great. We could not quite decide which name fit him, but about 10 minutes later, we both saw a little Alexander in him. HypnoBirthing method is definitely the way to go. I do not think I would have been able to go through labor without using the breathing and relaxation techniques that we had learned. We were praying for this child, and he came in a relatively comfortable and easy way. I pray that your delivery will be a positive and unforgettable experience, too!